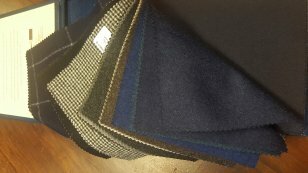 With Winter upon us it’s time to look at some heavier weight fabrics to keep you warm whilst maintaining your stylish look, to this end we have 2 great bunches to introduce as our bunch of the month. This bunch offers a selection of classic suiting’s, blazers and trousers to be worn in the colder months. These fabrics are a selection of some of the bestselling winter fabrics in a variety of weights. All the fabrics provide a wonderful drape and an extremely elegant look. The bunch offers woollen and worsteds flannels in traditional and new look patterns as well a good selection of plains. bunch is one of the most sought after traditional collections. It was first developed over 20 years ago as 12/13oz cloth that was built to last. Engineered with a superior, strong, worsted spun merino wool, this is a honest hardwearing cloth that is a pleasure to tailor. Combining innovation with tradition, Classic II comes in a selection of stylish checks, stripes, birdseyes and plains, enhanced with a new full bodied finish. 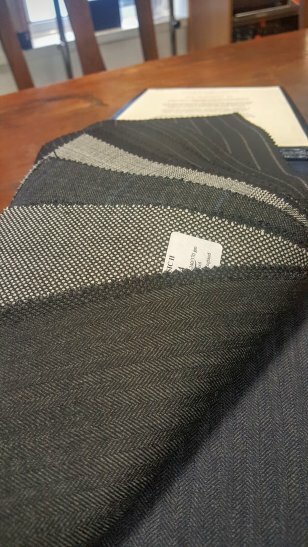 This beautiful fabric is effortlessly wearable. The perfect choice for everyday business wear or formalwear. However, you choose to wear Classic II, it is the epitome of British elegance, with timeless appeal.